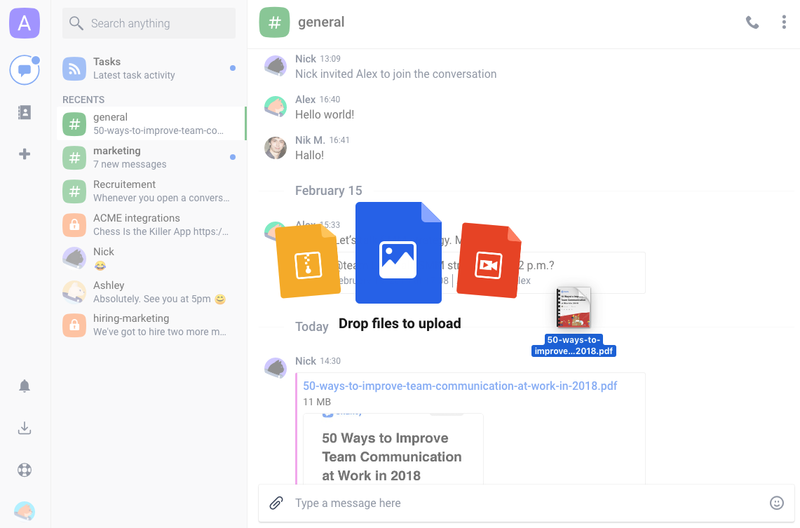 Chanty lets you send files and links to make your messages more collaboration-oriented. 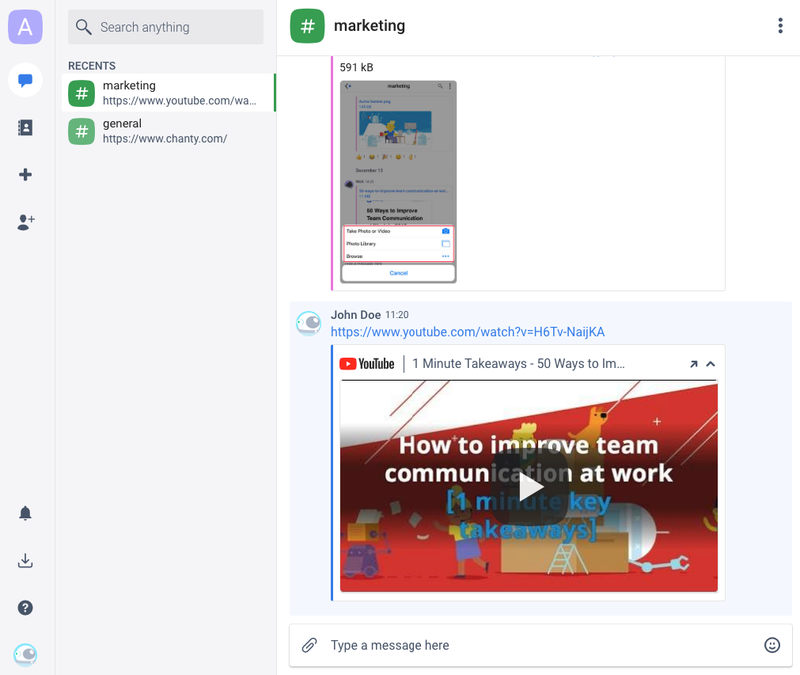 Uploaded files and links are stored, organized and easily searchable across your team space. 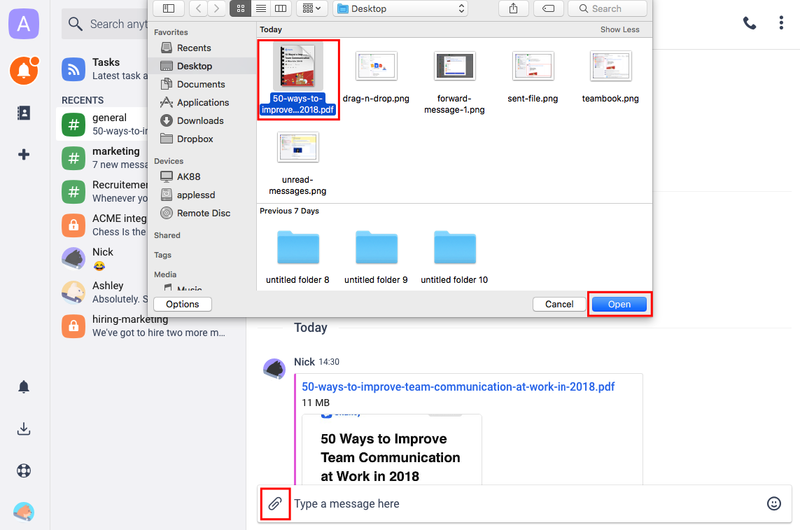 You can send files and links to: Public, Private or Direct messages, create a task from a file or link, forward or delete files and links to save time resending them again. Once the file is uploaded it will be immediately displayed and available to other team members in a conversation. Tip: The list of all files on a conversation is available in the Files menu. 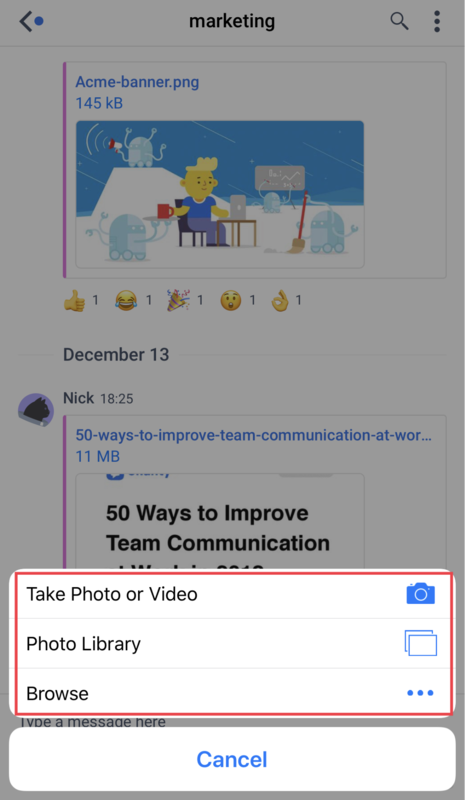 The list of all files on a team space is available in Shared files menu on Teambook. 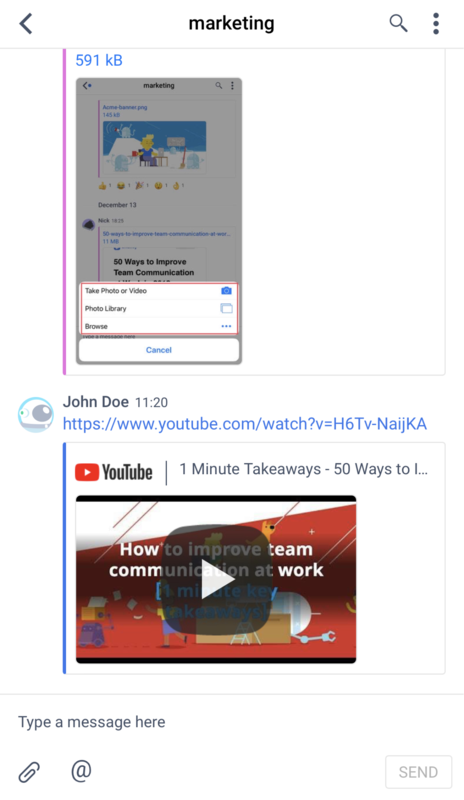 Type or paste a link in the message field at the bottom of the chat window and press Enter to send it in the conversation. Once you send the link to Chanty, the link preview will be generated automatically. Type or paste a link in the message field at the bottom of the chat and tap Send. Once you send the link to Chanty, the link preview will be generated automatically. Tip: The list of all files on a conversation is available in the Links menu. 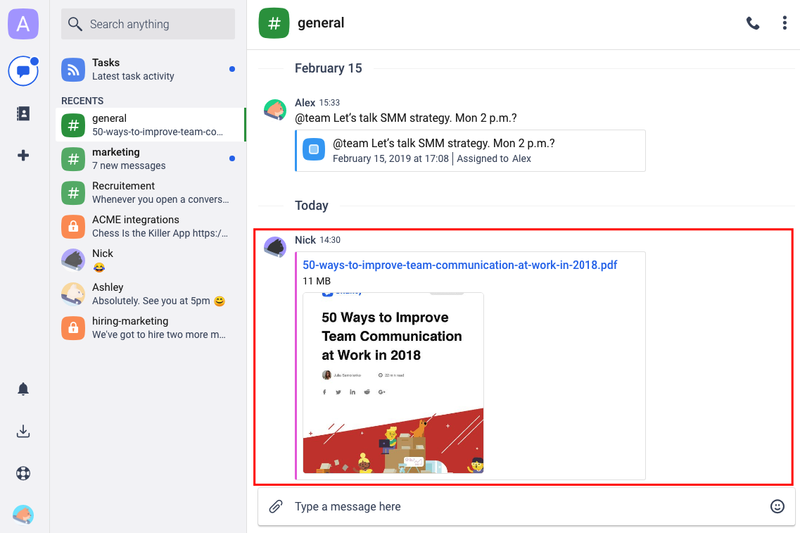 The list of all files on a team space is available in Shared links menu on Teambook.